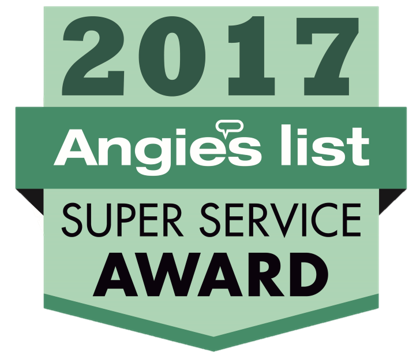 If you aren’t a professional landscaper you might be asking, “what is tree crown reduction” and what does it do? Tree crown reduction is a way of selectively removing live branches of a tree to reduce the spread or the height of the tree’s crown. It involves using something called a drop-crotch running technique to remove the ends of the branches by cutting back at the crotch, which is created by the lateral branch. Crown Reduction pruning is the selective removal of live branches to decrease the height or spread of a tree’s crown. Use of drop-crotch pruning cuts is required. A drop-crotch pruning technique is employed to remove the end of the branch by cutting back at the lateral branch. It can only be done if the side of the branch is a minimum of a third of the diameter of the branch that is targeted to be cut. By removing the branch, the nutrients and water can be redirected to the lateral branch, and it will resume the growth responsibility removed by the drop crotch cutting. The result will be that the tree will have fewer sprouts at the pruning cuts and the growth of the tree will be preserved and restricted. 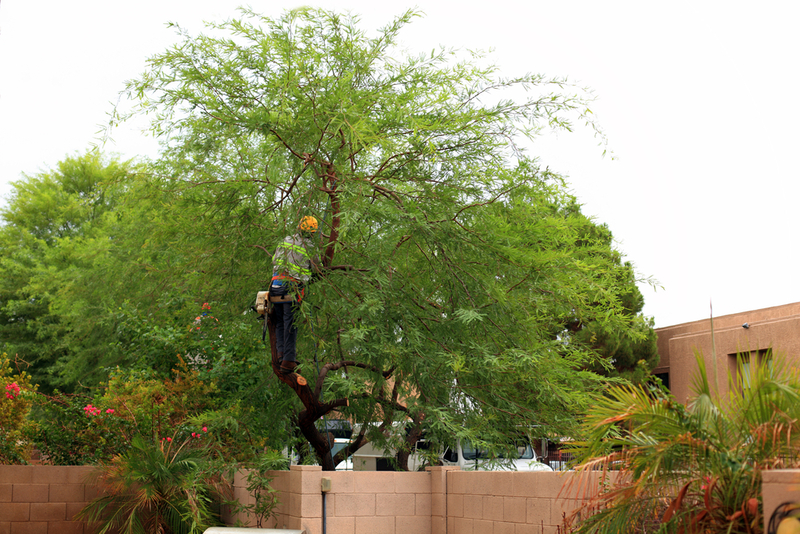 Having a tree service to maintain your trees will ensure that the right maintenance is observed. Topping is a type of tree pruning that is used to reduce the height of a tree or stop the spread of it by using cuts of the branches through the use of “heading cuts”. It is used to reduce the number of branches or to reduce the growth and size of a tree. Typically, only a short-term fix to control the size of a tree, it can sometimes cause problems for future tree growth. 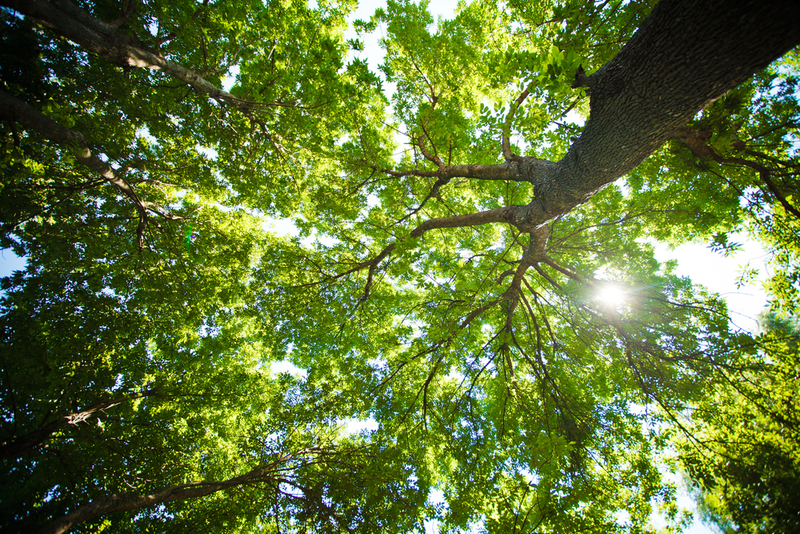 Crown reduction is a more long term fix that helps to preserve and maintain a tree in a more consistent manner. It is different from crown reduction because it is just about taking off branches to shape the tree. Crown reduction is most often used when a tree has grown larger than it is suppose to for its permitted space. Since it is a more exact way of cutting branches, it is an excellent way to maintain a tree. Although not suitable for every type of tree, it is a better form of maintenance control to decrease the spread and height of a tree while still maintaining the tree’s health. A more targeted approach, it is a preferred method over topping because it is often healthier overall to the growth of the tree and its ability to receive the proper water and nutrients. If you are asking “what is tree crown reduction”, a tree service might help you understand the complexity. The cornerstone of having success with pruning is knowing the proper time. If you prune a flowering tree at the wrong time of the year, you will miss out on the bloom for the season. That will make it more difficult for the flowering process to recover for the following year. The key to knowing when to prune is deciphering its bloom cycle. Springtime is typically the best time to prune. An ideal time, however, is right after the tree is experiencing buds on its stems, but just before they are about to expand. It is the perfect time to see where healthy growth is located and to prune away any parts that need to be cut for the health of the tree. If you are dealing with damaged or dead wood, then you can effectively prune at any time during the growth season. Just make sure that the branches are definitely dead and not dormant before you prune.